The frames listed here operate the same as our Front Loading Movie Poster Frames. WE CAN CUSTOM CUT ANY SIZE FRAME YOU NEED, JUST CONTACT US AND WE WILL GET RIGHT BACK TO YOU SAME DAY WITH QUOTE. Protect and display your art prints and pictures. Every frame comes with two acid free overlays that have UV protective properties. Please scroll down to see two videos that will show you how our frames protect your art prints and how you can also store your art prints in our frames. If you don't see the size frame you need below, just contact us and we can give you a quote for a custom cut frame right away. There is no extra charge for custom cut frames. Your frame will be cut to size and ship out in the same time as if you ordered one of the frames listed. Thank you! Really excited to say we have been featured in Home Theater Magazine's Feb/March 2013 issue. 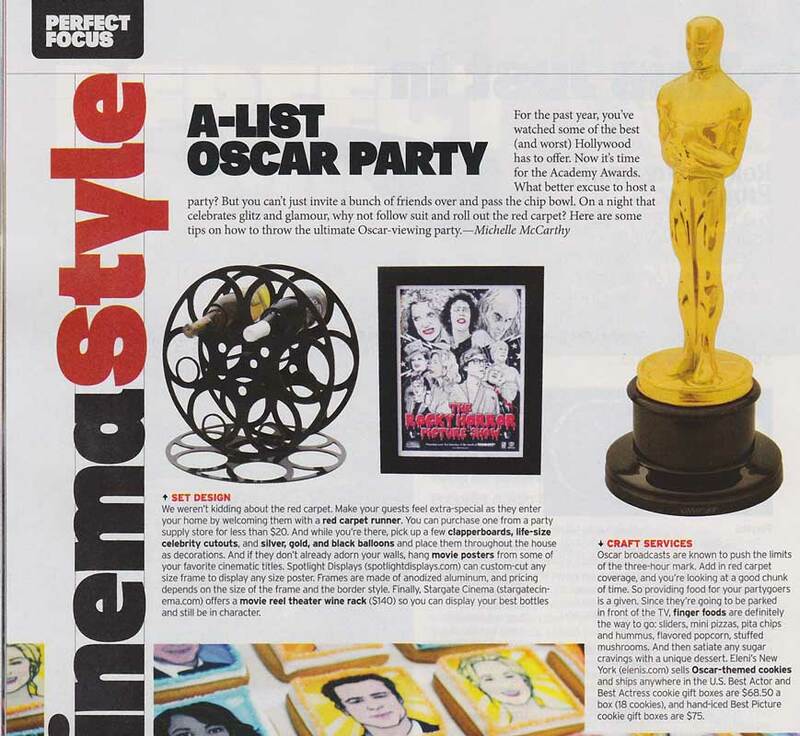 Page 18 Article: "A-List Oscar Party!" Check out these great pictures of our Art Print Frames: Click Here. ALL OF OUR FRAMES ARE FRONT LOADING. Here is a short video we made to show the protection our frames provide. And here is a short video that shows not only are our frames for displaying your art prints, but you can store them in our frames as well.